For the understanding of the hormonal imbalance treatment, you must know that there are thousands of processes going on in your body. From the visual functions of the eye that is used in reading through this article, to the cognitive role being played by the complex network of neurons in the brain, the muscular contractions that are at play to keep you in that particular posture and the numerous life-sustaining metabolic activities that is happening in every part of the body. All these myriad of biological processes have to occur seamlessly with specific timing, under appropriate conditions, and at a measured rate – in other words, they have to be well controlled. The major components of this control mechanism are the hormones. Since all our body processes, from digestion, reproduction and even the immune system are all interconnected and important for keeping the body functioning properly, when any process goes out of control, it may well mean trouble for the whole of the body. This is why hormonal imbalance remains a serious health issue and the root cause of most health challenges faced by humans. Hormones play a vital role in triggering and sustaining almost all body processes. These biological substances accomplish this role by giving signals for cells to begin certain functions such as the human growth hormone that encourages cell divisions and leading to a general increase in height and body mass. There is also the progesterone that induces puberty and development to adulthood. Testosterone controls the production and release of sperm cells in males, while oestrogen regulates ovulation in women. There are many other hormones that take part in every activity of the body, but already it is quite obvious that these biological agents are very important for life and well being. Poor diet: The body depends on ingested food to help in the synthesis of these hormones if your diet is lacking in important proteins, vitamins, and minerals, health problems like hormonal imbalance may arise. Toxicity: Certain chemicals that are toxic to the body may impair the proper function of hormones, most of these harmful chemicals come from cigarettes, alcohol, pesticides and from virus attacks. Stress: High levels of stress will always have an effect on the body as it wears down the function of glands responsible for hormone production. Obesity: The large deposits of cholesterol in obese people will overwork the function of some glands, this is usually evident in the case of the pituitary gland which often leads to diabetes in overweight individuals. Heredity: A genetic defect can be the cause of hormonal imbalance, and this can be inherited causing the problem to occur as a trait in a family. Healthy diet: Eating good food is a proven hormonal imbalance treatment which can help restore hormone metabolism and keeping related processes in check by improving gut health and reducing inflammations. Exercise and rest: It is important to engage in some exercise for hormonal imbalance treatment in order to boost hormone production levels. Physical exercise produces endorphins that keep all the body’s glands in good shape to properly regulate the production of hormones. Herbs: Hormonal imbalance treatment is effective with a class of herbs known as adaptogen herbs, which help to promote hormone balance and mitigate the effects of diseases and infections. A few of these herbs include ashwagandha, medicinal mushrooms, Rhodiola and holy basil. 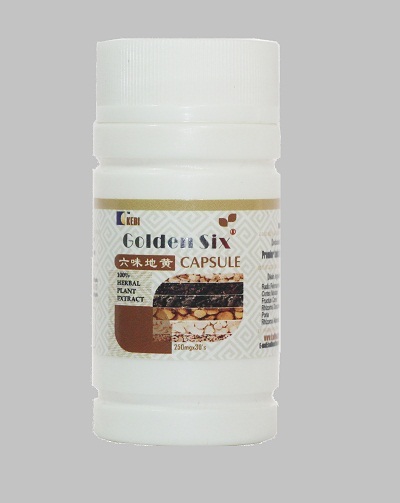 You can order for Golden six herbal medicine for hormonal imbalance treatment. We sell member price to encourage patronage and to open account after you have result that our product works. The price is N4,290 excluding cost of delivery. We offer prompt delivery of the product using courier services nationwide. P.S. Product(s) will be deliver same day in Lagos and within 3 working days in other states. Anuria treatment, symptoms, causes, and prevention Urinating may seem to be just a simple and routine daily activity, but it is a vital excretory process that ensures the maintenance of a balanced amount of water and electrolyte in the body. It should, therefore, be the cause of serious concern when there is difficulty in urinating normally, and this usually occurs as a result of anuria. Anti Aging Supplements: Cordy Active herbal medicine is an anti aging supplements designed for hormonal imbalance treatment of the human body, boosting immune system, anti-fatigue and energy booster. Golden Six: Herbal medicines are fast becoming the main option for the prevention and treatment of diseases. The wider acceptability is mainly due to the effectiveness of the medicines and the fact that the naturally occurring herbs used in their preparation do not cause any harmful side effects in the body as compared to conventional drugs. Good Health: Good health is a condition in which our body system and mind are working well. It’s among life’s best gifts to mankind. It’s possible for many of us to be healthy by eating nutritious diet, sleeping well, doing regular exercises, drinking enough quality water, fresh air, taking herbal medicines and avoiding worries. Healthy lifestyle habits information should be a must read! It was the great philosopher, Aristotle who said “We are what we repeatedly do. Excellence, then, is not an act, but a habit.” This implies that our whole life is a sum total of the little things we do daily; this principle holds true not just in the development of habits, but it is also the case even with our health. Hot flashes treatment, symptoms and causes: Our internal body system is regulated to maintain fairly constant body temperature in order for enzymes, hormones and organs to function properly. Some people experience a periodic rise in temperature that can disrupt normal body functions; these are known as hot flashes. Hormonal imbalance: Hormones are biological chemicals mainly composed of proteins, and released in order to activate or regulate different metabolic processes in the body. The human body is the most complex machine on earth and at every instant, thousands of life-sustaining processes are simultaneously being carried out in the different parts of the body, so a highly functional regulatory mechanism is needed to keep all these vital processes running seamlessly, and this is accomplished by hormones.